Apple Watch has been on sale for almost a year, with new models added to the line up a few months back in September 2015. There are numerous models to choose from, with three main ranges available, two sizes in each range and multiple straps, making choosing the right one for you quite tricky. With the additional models, there are now 12 models to choose from in the Watch Sport range alone, 20 models in the Watch range, eight models in the Watch Edition range and 10 models in a new Hermès range. Yes, 50 standard models in total, and if you mix and match by adding extra straps to the first three ranges, this figure quickly goes up. Of course, it doesn't just come down to which model you like the best in terms of the design because the one we like the most costs over £10,000. And no, we aren't joking. This feature aims to make it easy for you to see what models are available, how much they cost and what the differences are between them all in order to find the right one for you and your budget. The most affordable of the three ranges is the Apple Watch Sport. It costs £299 for the 38mm version and £339 for the 42mm version. 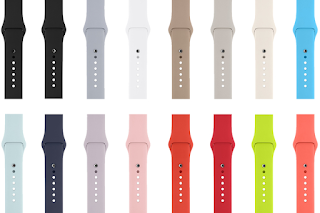 There are 12 models available comprising of four aluminium body colours, 38mm or 42mm sizes and various straps that come with respective models. All the Apple Watch Sport models come with a Sports Band included in the price, but you are restricted to the band Apple choose with each model. 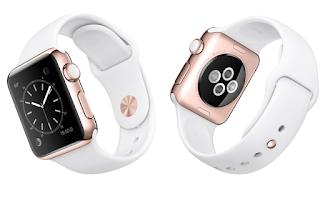 For example, the new rose gold 38mm model comes with a Lavender Sports Band. 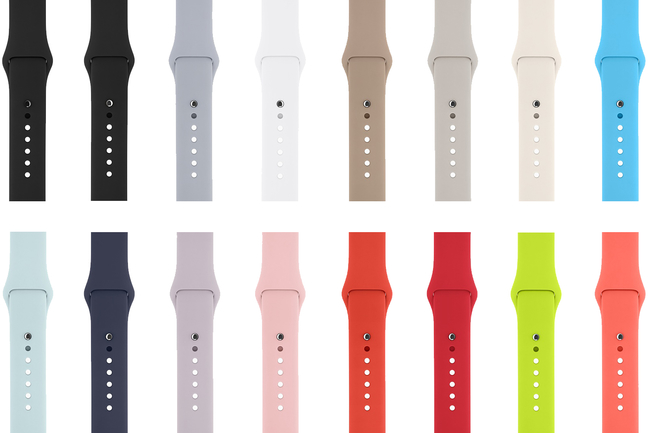 If you wanted a White Sports Band or another colour instead, you'd have to pay extra £39, rather than swap it out. 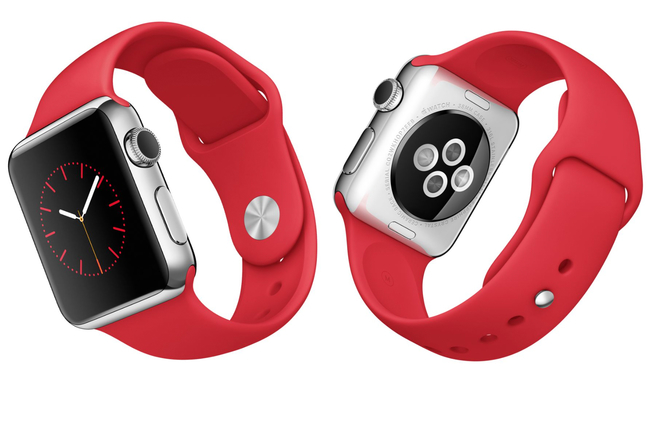 The Apple Watch models are the mid-range Apple Watch, opting for stainless steel body over the Sport's aluminium. The Apple Watch models start at £479 for the 38mm model and £519 for the 42mm version, both of which come with a Sports Band as the strap. As we mentioned, there are 20 models available in total and as with the Apple Watch Sport, if you want a different strap, you'll have to pay more. For example, a Classic Buckle or Milanese Loop rather than a Sports Band will set you back £559 for the 38mm and £599 for the 42mm. Top of the Apple Watch range is the 42mm Space Black stainless steel case with a Space Black Link Bracelet, which costs £949. The Apple Watch Edition is the most expensive of the Apple Watch models available and as we said, it comes in eight models. The cheapest in this range is the 38mm 18-carat rose gold model that comes with a Sports Band and costs £8,000 in the UK, while the 42mm model costs £9,500. Interestingly, the priciest models of this range are both 38mm options rather than 42mm. There is an 18-carat yellow gold model and an 18-carat rose gold model in both 38mm and 42mm but there is a £1,500 price difference. The 38mm options come with Modern Buckles in Bright Red and Rose Grey respectively, while the 42mm models come with Classic Buckles in Black and Midnight Blue respectively. Despite the 42mm normally costing more however, the 38mm models are £13,500, while the 42mm are £12,000. The Apple Watch Hermès is only available in selected locations and as you may have guessed from the name, it is a specifically-designed Apple Watch that has been created in collaboration with Paris fashion brand Hermès. There are 10 models to choose from, as we mentioned, and along with a special Hermès watch face, the Apple Watch Hermès models also feature leather straps handmade by the fashion company's artisans in France. 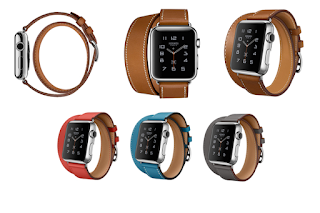 Each Apple Watch Hermès has the Hermès logo on the underside of the watch body, as well as on the strap. You can read our hands-on here. There is the Double Tour model for the 38mm size only, which comes in four strap colours and wraps twice around the wrist. The Single Tour model comes in 38mm and 42mm options, with the 42mm available in two colours and the 38mm in three colours. The last model is the Cuff, which is only available in 42mm and the Fauve colour. It features a strap within a strap. Prices start at £1,000 with the most expensive Apple Watch Hermès hitting £1,350 so significantly less than the Apple Watch Edition, but a little pricier than the mid-range. There are six straps available for the Apple Watch, each of which is compatible with all three of the main ranges. Buckle that comes in two colours. The Leather Loop is a soft, quilted leather that conceals magnets for quick fastening and adjustment. It comes in four colours and also costs £129, but it is only available for the 42mm model. The alternative for the 38mm is the Modern Buckle with two-piece magnetic closure that also comes in four colours but it's a little more expensive at £209. The most expensive strap is the 316L stainless steel alloy with custom butterfly closure Link Bracelet, which comes in black and silver, and costs £379. Let's quickly do the maths: the cheapest Apple Watch Sport is £299 (38mm) and the cheapest strap that isn't a Sports Band is £129, a total of £428. That's £50 cheaper than the most affordable Apple Watch, which starts at £479 (38mm) and also has the Sports Band. If you can live with the aluminium body rather than stainless steel, then the Sport is cheapest route and with the newer aluminium colours, it's an appealing route now too. For example, you could get the 38mm rose gold Apple Watch Sport with Modern Buckle for £508, which is a lot cheaper than the £13,500 lookalike. Granted the materials aren't as premium, but we're talking about £13,000 extra dollar in your pocket here. Another good combination is the Space Black Apple Watch Sport 42mm with the Space Black Link Bracelet. The body costs £339 and the strap, which is now sold separately costs £449, for a total of £788. The black stainless steel option costs a total of £949 with the Space Black Link Bracelet so you save around £160 opting for aluminium over stainless steel. The Watch Sport and its additional colours make the Apple Watch more accessible, but be prepared for splashing some cash if you want to upgrade it with a more premium strap as they don't come cheap and are therefore the Sport isn't always the better option.